Opening an online shop with Blomming is easy: there are no product listing fees and you can start selling on our platform, your Facebook page, your website or blog and anywhere else on the web right away. Here are the main features offered by Blomming. But remember, they aren't the only ones. The more you use Blomming, the more features you’ll find. 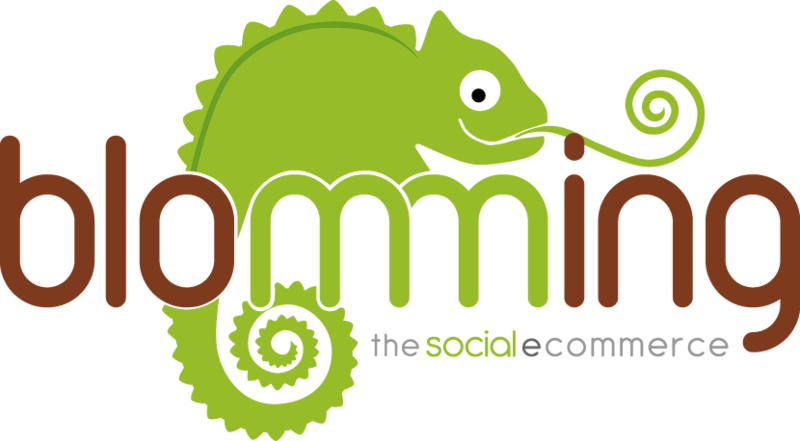 Facebook Commerce, Web E-Commerce, Blog E-Commerce Widgets, Mobile Commerce. With Blomming, you can bring your shop anywhere online and, at the same time, manage your inventory, orders, customer messages, shipping and payment systems all in one place, all from the same account. No limits on the number of products sold. You can upload all the products you want. No limits in terms of quantity. And no time limits either! You don’t have to pay multiple times for already existing products. On-site browsing and the ‘saved’ shopping cart. Customers who browse your shop via your website or Facebook page will have a seamless experience on three levels. They will see the product gallery, individual product information and their shopping cart, all without leaving the shop. All of this info is saved: each time a customer browses to a Blomming shop that’s part of a website/blog or Facebook page, their shopping cart (complete with the products added/awaiting purchase) will appear. High-level security. All the features to manage your shop, transactions and important web pages are protected thanks to the latest advances in web security. All your data is protected thanks to the Secure Socket Layer system (SSL), the apex of today's safety standards. Constantly-updated social media features. All your product pages include sharing options, useful to you and your customers. Each time a new social media platform gains importance, we make sure it is integrated with our site. Select a subscription - the first 15 days are a free trial for your shop! Then, when you want to start selling, all you need to do is activate a plan. Blomming is constantly updated with new features, without ever interrupting our services. Fun fact: last year, Blomming was updated on average 1.2 times per day! For up-to-date information, visit the Pricing and Terms and Conditions pages.